We are so honoured to have our project, Clifton 400, published again. 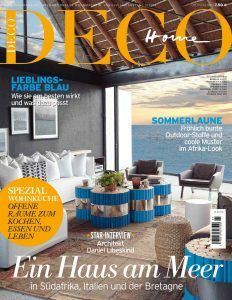 It has been featured in the German magazine DECO Home – a beautiful lifestyle publication and this issue is all about “Ein Haus am Meer” (A House at the Sea). See the full article and translation (by our own Liz Davies) by clicking here.